Have you ever wanted to know the best way to launch your book, or new program, all while growing your email list? In today’s episode I answer that question. You’ll discover how to position yourself, and make money, with the expertise that’s already inside of you. The fastest and best way to grow your list, all starts with one main intention. In fact I believe that your income is in direct proportion to the value that you provide. And most of the time you have one shot, to make that first impression. If someone doesn’t enter in their name and email on your website on the first visit, they usually NEVER come back. Here’s how to avoid that, and at the 3:19 mark I talk about how what you think is messy in your story, is what actually connects you to your ideal client’s, and does most of the selling for you. 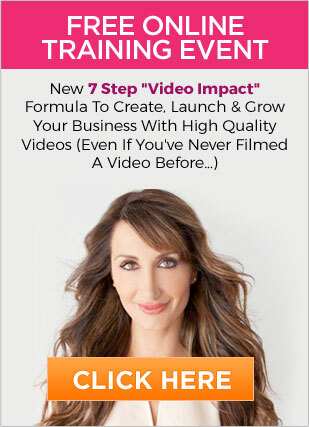 PS How much momentum are you losing in your business, by not having high quality video’s? PPS You can do this. Once they start seeing you everywhere, that’s when you start creating momentum, which leads to more money.